Simplest design of awning with fabric roll mounted on a 35mm torsion bar. Lightweight, easy to install and remove. 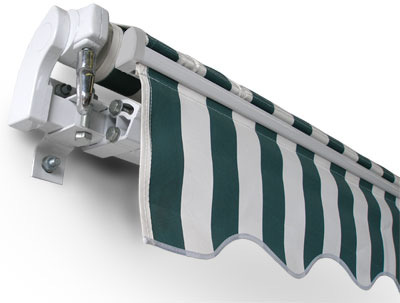 Popular range of awning with fabric roll mounted on a 40mm torsion bar. Lightweight, easy to install and remove. Altering the pitch is quick and simple. Metal cassette casing covers top half of awning roll when retracted for added protection from sun and rain. The brackets attach to the awning in fixed position behind the arms. Mid-range awning, offering a cassette and the option of an electric motor, all at a very good price. This cassette design is for awnings from 5m - 6m wide or awnings with 3.5m or 4m projections. This classic design of the metal cassette covers both the top, bottom and back of the fabric roll plus the arms when the awning is retracted. The front bar makes the final seal to the cassette as it closes. 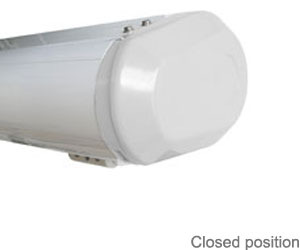 A heavy duty model very well suited to both residential and commercial locations. Designed to fix at a pitch of 45 degrees over windows or balconies, providing internal shade and protection. Has side arms for support. 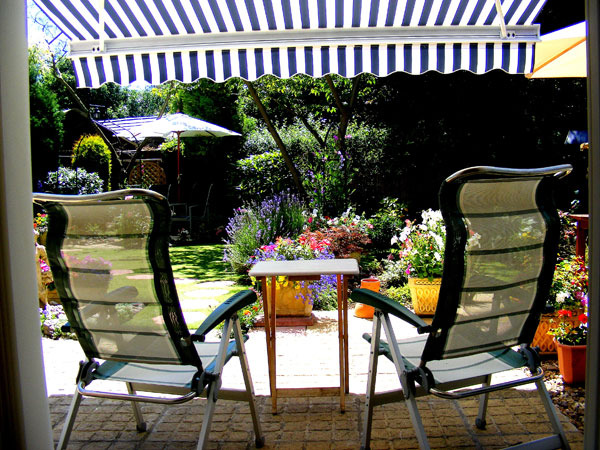 Provides shade on both sides of a stable freestanding metal frame. Suitable for residential and commercial use. Ideal for adding protection on a terrace or patio. The cassette is installed vertically and the retractable roll is pulled straight out. It is attached to a fixed post or wall, with velcro straps. Popular choice for providing protection and privacy. For residential or commercial use. Stylish and simple, they are a popular choice for both domestic use as well as restaurants. Vertically hanging triangle or rectangular fabric providing additional side protection. Easy to attach to existing installations. The main difference in style is the cassette. The cassette is the casing into which the awning retracts - half cassette awnings have a 'half' cassette which sits on top of the fabric roll, thereby protecting it from rain and dirt. The valance does not retract back into the cassette. 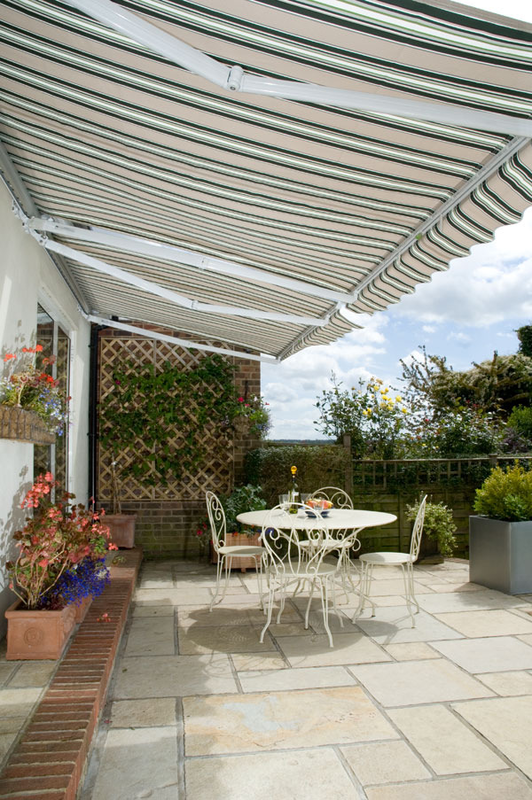 Full cassette awnings have a 'full cassette' the awning retracts completely back into the cassette and is therefore fully protected against the elements. Standard and Budget awnings have no cassette. Full cassette awnings are significantly more expensive than the other models. In general they are a heavier duty model, able to withstand 'robust' use. As well as residential use, they are ideal for commercial use* in shops and pubs etc. Our Budget awnings are a "no-frills" entry level awning at a cracking price. They're great quality, but not quite the same strong spec as a standard manual awning. For example the Budget manual awning contains a back torsion bar 35mm x 35mm instead of the stronger 40mm x 40mm bar on a standard manual. Cover change is possible on standard manual, half cassette manual, half cassette electric, full cassette manual and full cassette electric awning models - a great idea if you fancy a change of colour half way through the summer. *Note: Warranty doesn't cover commercial use. No cassette - No weather protection for the awning fabric roll. Half cassette - Metal casing covers top half of awning when it is rolled in. Full cassette - Metal casing encloses entire awning when it is rolled in. 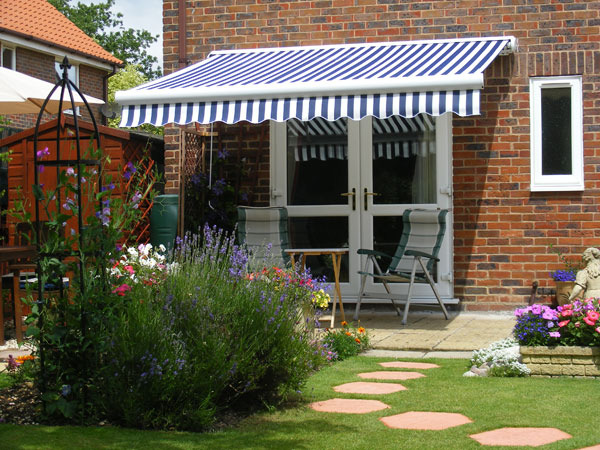 All styles are available as manual only awnings. They are operated by a winding handle on the side of the awning. In addition our half and full cassette awnings are available as electric awnings. In general, an electric awning costs between £75 and £100 more than the same model without a motor, depending on whether you want operation by wall switch only, or by wall switch and remote control. Including a wind sensor will add a further £75. How are the electric awnings operated? 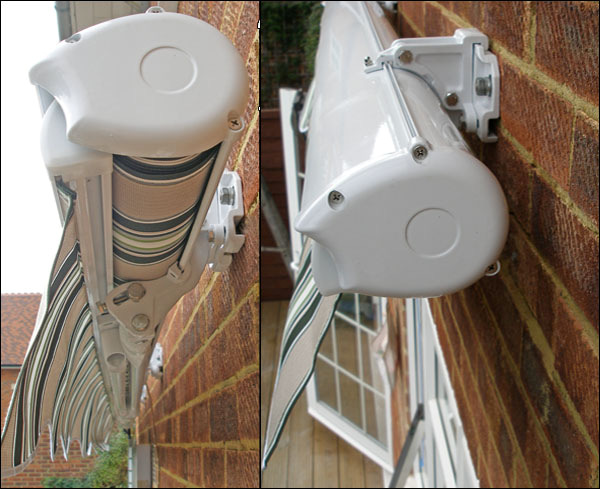 The awnings can be operated by a wall switch or by remote control. We offer the following options; the price depends on the option selected. Awning with indoor wall switch only. Awning with remote control kit containing a receiver box and two remote controls. Fix the receiver box to a wall indoors. The remotes are radio controlled and can be operated indoors and outdoors. The receiver box also has its own switch. Awning with remote control kit as above and a wind, sun and rain sensor. The wind, sun and rain sensor opens the awning automatically when the sun comes out and closes it automatically in high winds. The remote control receiver box can be mounted externally by purchasing our waterproof housing. 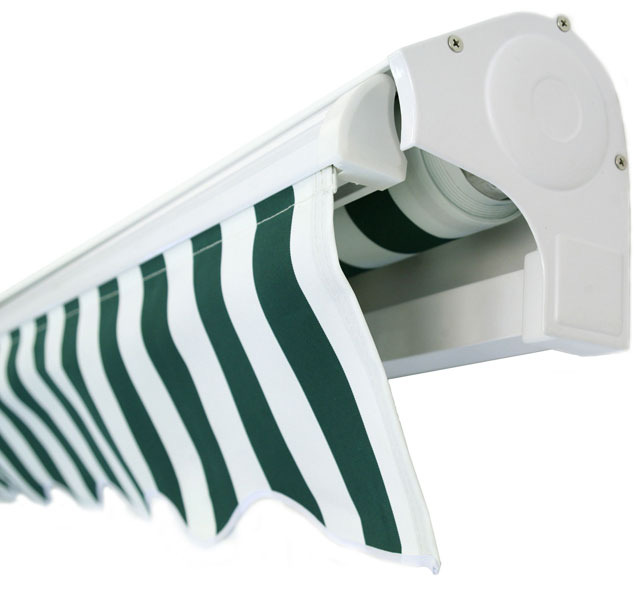 All electric awnings include a winding handle for use in the event of a failure in the power supply.